The picture is an example. The designs are different. 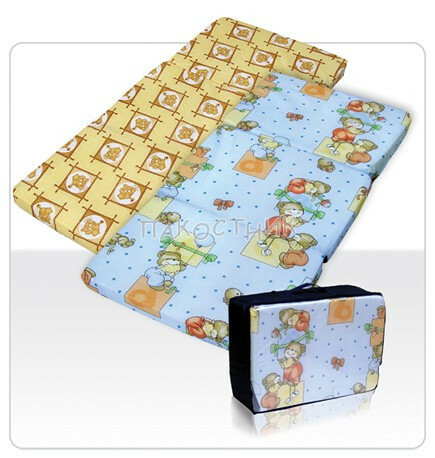 Mattress Sweet Dream 62/110/10 cm. Mattress Air Comfort 60/120 cm. Mattress First Dreams 90 х 42 х 3,5 cm.